Is it realistic to improve your income in a matter of 8-months? Well, who cares about being realistic. Let’s talk about how to improve your income by 99%! One thing that I’ve learned during this whole journey is this. Success isn’t realistic. What’s realistic is following the script that everyone else does. And hopefully, have a house/wife by 33. But I don’t want to be realistic. Because I made a commitment to myself back in 2014. And from that commitment, a vision was shown to me. That vision isn’t at all realistic. Which brings us together at this moment. I am going to list out how I will improve my income in 8-months. Why? Because I am showing you how the game works. I want you to see a real way to get real results. Whether you’re new to this story or have been around. It doesn’t matter at all. All that matters is that you open your eyes and understand my words. What I’m about to do before you is break down how to improve your income. I got this exercise from Mike Cernovich’s article. In his article, he explained how he has given his daughter most of his money. So that she will never have to worry about going without. And in my own reality, I have started over. I came back with the FULL focus on building my brand. I took up enough groundskeeping work to pay my bills. Which only requires me to work 3-days a week. The rest of my week is given to building my brand. At the moment my income is enough to eat the best food, pay my bills, and funnel the rest into my business. Most would call me crazy for doing this. But it seems to be the “crazy” people who live their dreams. People such as Victor Pride. People such as Ed Latimore. And people such as Alexander Cortés. But just being crazy enough to believe in your dreams isn’t enough. You’ve got to take it a step further and TAKE ACTION. Not just once, but every single day. That’s what I’ve been doing since 2014. And I’ll continue doing that until the day that I go to the next world. So without taking any more time. Let’s go ahead and get this party started. Ideas are easy, execution is hard. The magic happens when you choose one idea and write 10 ways to improve on it and execute on it. Back in 2016, I made the decision that I was going to quit my job. From there I quit my job and drove for Uber. After I took the first step (quitting my job). My life started rearranging itself to follow suit. But don’t get it twisted. None of it was easy. I lost friends, love, and money. After you finally make your decision however. You’ll eventually become numb to hard-times. You will instead see hard-times for what they really are. Hard-times test you to see if you really want what you said you did. If you can handle them, the world is yours. This is super crucial. I wasted 8 years being vague with what I wanted out of life. All I wanted was to be my own boss and make 1 million dollars by 26. Well, those are two of the vaguest aspirations ever. Those aspirations are just as good as spoiled milk. In other words, you can drink it and call it milk. But you’ll end up getting sick and having to start over. So after I walk through this exercise. PLEASE BE SPECIFIC. Save yourself 8 years of time and start off the right way. 10 Ways to Improve My Income is an okay title. But I’m not going to risk being vague again. Improving my income could result in only a dollar more. And that isn’t acceptable to me. Ahh that’s more like it. We’ve listed out the exact amount and a deadline. This makes it real and achievable. But why does being specific matter? By being specific you aren’t throwing ideas against the wall. Instead, you’ve got a deadline for your income. From there you can easily figure out the best path to get there. Because most people just say they want an extra $1,000 a month. I was one of those people not too long ago. I got just that. But it wasn’t for my online work. It required me to stay in one place and have to leave my house to collect the checks. Which is the exact opposite of making money online. Here are 10 ideas for making $3,000 a month by 10/19/2018. Now that we’ve got 10 ideas listed out. Let’s slice through each one and find the one. The one is the most practical. So now let’s go through each idea and see what it’ll take. Video courses are a great way to generate income. I could easily record 5 hours of premium content and charge many times more than I could for a book. Why? Because video course take more time and are more personal. 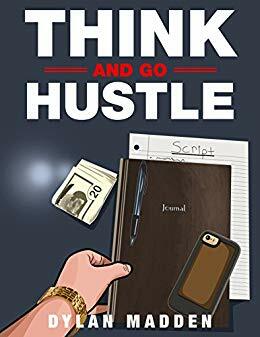 My book Think and Go Hustle sells for $8.99 per copy. While I’ve had over 1,000+ downloads of the PDF alone. From a business standpoint, it would make more sense to focus on a video course. With a video course, I could charge $35, $125, or even $597. Let’s take a look at the math and compare them. That isn’t bad, but 100 sales can take time. There are only a handful of associates of mine who hit those numbers regularly. To get 100 book sales requires plenty of content, loyal readers, and time. I got goosebumps as I worked out this math. As you can see from a value standpoint and profit standpoint. Releasing a video course would be a great idea. For one I know that I could sell 100 courses within a 6-month period. From the loyal readers on this blog to my network. Moving 100 units is VERY realistic. But how exactly would I create the video course? Looking at what all I need to get started and launch my video course. I have everything except the content. I imagine with a few days worth of recording. I could have the course recorded and then spend 1-2 weeks editing. You may think that 1-2 weeks sounds too long. But when it comes to product creation, there are plenty of unforeseen things. 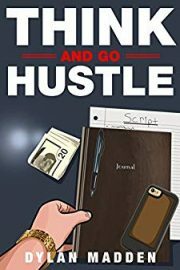 I learned that when I wrote Think and Go Hustle. Most of the writing was completed within 2 days. From there it took 5-months to get it edited, a cover designed, deal with issues, and put together a sales-page. If it weren’t for my team behind the scenes. It would’ve taken me 8-months of trial and error. And seeing as a video course is more in depth and has many moving parts. I’d say 1-2 weeks of editing is reasonable. From there you’ve got to take into consideration everything else. Marketing, sales-page, user-dashboard, and other details. So we’re looking at one to three months. The only reason I can pump it out that fast is that I’m much more experienced now. Also, I know the right people to bring into the project. When I was working on my book. I had to fire 3 different people. They were time wasters and plain lazy. But that’s just a part of building a business. You find what works and what doesn’t work. My secret project is something that I’ve wanted to do for 2 years now. While I’m not going into exactly what it is. It would require a website, YouTube channel, and IG. But most brands take at least a year to build. Of course, with my level of influence. I would be able to speed that process up. However, I have no interest in giving my energy to a venture like that. A friend of mine recently gave me access to his dropshipping course. I’m about 20% into it as we speak. While I already have a basic understanding of dropshipping. His course showed me why I was seeing such low profits. I’d say with my current skill level + his course. I could have a profitable e-com store up within 2-months. That is, only if I work on it daily and pour money into advertising. With my current budget, I could make that work. But due to the amount of work I want. That would leave me with a smaller budget than if I took on more work. I could throw $200-300/month into advertising. I’m not sure if that’s a high number or low number. As I haven’t been involved in creating ads since 2015. I started to not include this idea. As it will come naturally as I build my blog. But Mike said to not hold anything back. Back before my main affiliate program was shut down. I made anywhere from $75-300 a month from affiliate sales. For the type of business that I’m in. Affiliate marketing is a side-income only. I wouldn’t want to put much of a focus on it. Why? Because it can be taken from me at any moment. I only want income streams that I have FULL CONTROL over. So sure I’m gonna grow my affiliate income as I find actual products that are valuable to you. Affiliate marketing is not worth my time. As we discussed earlier, it can be taken away from me. But also, my blog isn’t about recommending various products. My blog is about figuring out life and then writing about it. From there you can take my free content and use it in your own life. For premium content and specific solution, I’ll have various products. I’ve done freelancing in the past with mild success. It’s a good way to get some money coming in. From there you can travel and live on your terms. My friend, Jake Darby wrote an excellent guest-post on freelancing. He’s also taking on coaching clients as we speak. But for what I want to do, I’m 50/50 on the idea. On one side I’ve got the skills needed to make good money as a freelancer. On the other, I hate feeling beholden to someone else. Hence, why I never got too deep into it. Freelancing is a fantastic opportunity to make a living while traveling. That’s how Jake is able to live free and make more money than most guys online. But he’s a beast when it comes to it. I’ve seen him crank out 3-5 1,000 word articles a day. I would have to force that. Of course, churning out content for other people is different. When I put together an article for you. I first take an idea and then I throw up on the page. From there I craft it into an easy to read and actionable article before finally releasing to the world. In the freelancing world, making a 1,000-word article could be considerably easier. They give you a topic/keyword. From there you put together an article for them. You get the jist. I’d say that within 2-4 months I’d be making $2,500 a month. Which would put me on track to making $3,000 a month by 10/19/2018. Back in 2017 I helped plan an event. I learned two things from that experience. One I love planning and orchestrating events. Two there is WAY more that goes into an event than you’d think. Depending on where you have it. There are rules and regulations that you have to follow. In reality, they just want more money, but you’ve got to follow their rules. I remember one venue that I selected seemed perfect. As the venue owner and I talked over lunch in Beverly Hills. I kindly got up, shook his hand, and walked out. The total for that event which was only for up to 200 people would cost a total of $15,000. As I Ubered back to Marina Del Ray. I was able to find 3 other places that were more reasonable. At the moment I’m wanting to host Cernovich, Ed Latimore, and Alexander Cortés in Charleston. I spent 2 hours earlier calling venues. I’ve got 5 possible places but will have to find more. When finding a venue you’ve got to remember that you are the one with leverage. There are at least 100 perfect places for a Gorilla Mindset Seminar in Charleston. But there’s only one me. So when you’re finding venues keep your head on right. The venue can try and twist your arm, but you’re the one with the power aka money. From a business standpoint, I’m not looking to get into this business. Sure I want to host Mike Cernovich in Charleston. Imagine having Mike Cernovich, Ed Latimore and Alexander Cortés in one room. That’s a whole lot of wisdom and knowledge. But for me to start an events business. It’s just wouldn’t fit with my goal of making $3,000 a month…online. I’ve had experience with various t-shirt campaigns. One for myself and another for a client back in 2017. For what I’m doing this wouldn’t work. Back in 2016 Alex Mangini and I started SD. While it generated income, we decided to put it on hold. Why? Most bloggers are broke and not serious about building a brand. They want free web-design and can’t make up their minds. The only way that we’d start SD again is a total revamp. At the moment I can’t see us getting it started anytime soon. Which means this idea is out of the picture. Back in 2017 when I was building myself up from $142. I was doing anything and everything to make a dollar. That’s when I started flipping stuff on Craigslist. I also started offering different services to companies here in Charleston. I could realistically make a few grand a month doing this. But it wouldn’t aid with what I’m already doing. Plus I’d still have to meet with my clients. Which is the opposite of making $3,000 a month online. As you and I discussed above. Making a book could take months to make and the profit margin isn’t as good. Books are a great addition to your blog. I know someone who makes over $50,000 per month selling his books. But he’s been in the blogging game for years. At the moment I want to be bringing in money within 8-months. While I do have advantages over most people. Advantages such as I’ve done before, I’m a skilled writer, and I’ve been blogging since 2014. My book Think and Go Hustle continues to sell copies each week. And as more people find me, obviously they will find my book at some point. Each format brings its own special requirements to make. So at the moment, this isn’t an idea that would put me where I want…yet. So there you have it. I just gave you an exclusive look behind the scenes. You can see that there isn’t anything special about it. You simply get specific with what you want. And then find the best idea to get the job done by your deadline. Step 1. Choose an area of your life you want to improve on. Step 2. Write out 10 ways you can improve that area of life. Step 3. Write out 10 ways to execute one of those ideas from the list of 10. Now it’s time for you to figure what you want and get specific. His exercise is clear and as easy as 1,2,3. Ps: After you’ve followed the Cernovich Method. You can also download my FREE Script Creator. Your Script Creator takes the guessing work out of your daily life. You’ll know what to do and why you’re doing it. If you’ve got any questions or anything to add. The comment section below is open. I see you, Dylan. Keep it up man! You’ve got some bright ideas Dylan. I’m curious to see what that secret project is someday. On the subject of Cernovich, I admire that he’s built a brand that will take care of his daughter (and possible future children). Thank you Rich. Everything comes in due time. As do I brother. Cernovich has done quite well for himself and family. Excellent recap of Mike’s Periscope! This method is simple and gets to the point quickly while allowing you to drill down into the areas that actually align with your goals. I especially like the idea of a premium video course. Looking forward to what you have in store over the coming months. Keep killing it, brother. Thanks Nick! I got the idea from his article here. Yeah man, my next product will be a video course. It’s more personal and makes more business sense. I appreciate your comment and support brother.